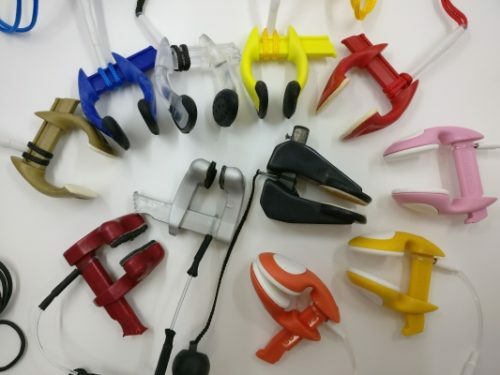 The Uba Project Equalisation Tool for freediving (Uba Project EQ tool) is an ingenious device that not only measures how much pressure you are using to equalise your ears, but what technique you are using. Using their associated app, you can see how effective your equalisation is, and if you are performing it correctly. From the Frenzel equalisation technique, to the mouthfill, constant pressure equalisation, reverse packing and more, discover where you’re going right and where there’s room for improvement. 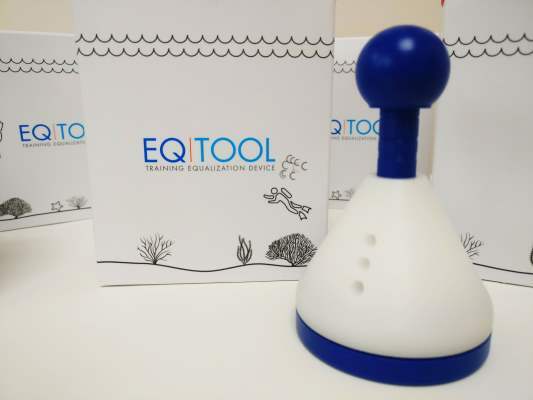 And due to the nature of the Uba Project EQ tool you can practice any time you’re away from the water. What is the Uba Project equalisation tool and how can it help with equalisation for freediving? 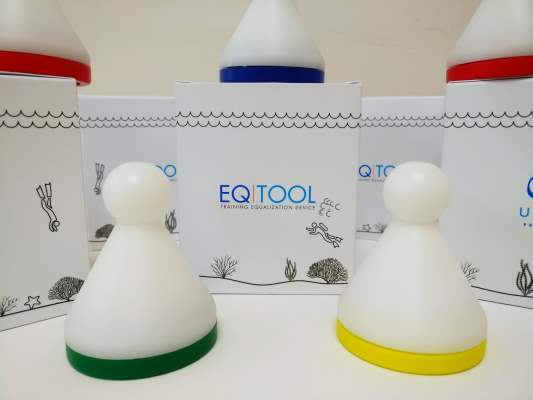 Uba Project EQ tool is a very sensitive pressure measuring device that monitors very precisely the flow of air from one of your nostrils to determine what is going on inside your head (literally) when you equalise or perform equalisation and lung exercises. 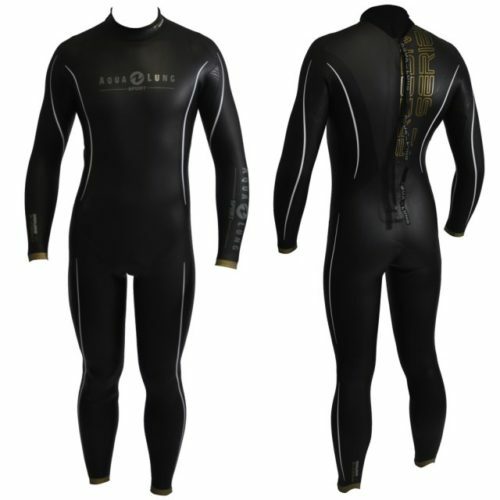 When we teach freediving, it is easy to see if a student is wearing too much or too little weight. It is clear to see if they are not finning correctly or buddying safely. However it is impossible to see inside someone’s head, both literally and figuratively. The biggest difficulty a freediving instructor has when teaching is determining if a student is equalising enough to prevent a problem, and also if they are performing a specific equalisation technique correctly. Often a student will be able to equalise one ear easily and so presumes that both have equalised. However they will get to a depth where ‘suddenly’ they experience pain. In addition, when learning equalisation techniques such as the Frenzel out of the water, it is one thing to see if there is movement underneath the jaw, and hear little bits of air puffing out from half pinched nostrils (as in this video), however it is impossible to know if the pressure the person is exerting is enough to actually equalise the ears in the water whilst upside down. The Uba Project Equalisation Tool takes away all the guesswork by showing on the screen of your mobile phone EXACTLY what is going on when you equalise, mouthfill, reverse pack, refill and so on. By inflating air in your Uba Project Eq-tool pressure in your upper airway increases, the Eustachian tube opens and the eardrum vibrates. 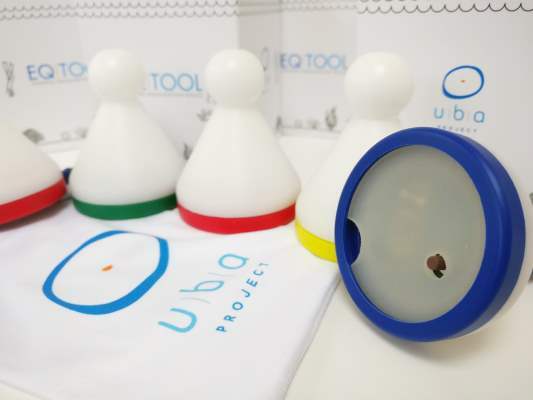 The Uba Project Equalisation Tool is a small, cone shaped device with a adjustable ball on the top. The ball has a tiny hole in it, and you plug one nostril with it when performing the exercises (closing off the other nostril with your finger). The ball can be pulled out to four different positions which controls the rate that air is spilled from the device and simulates the usage of air during an actual dive (more on this below). It measures pressure in units of hectopascals (hPa). Hectopascals are used to quantify stress, tensile strength and internal pressure. One hectopascal is equal to 100 Pascals and there are 101,325 Pascals in every atmosphere (atm or bar) of pressure. It is powered by a CR2032 battery (supplied for free if you buy one from us), has an off/on switch at the base of the device and comes in various colours – blue, yellow, red, green and white with a cloth carry bag. The Uba Project Equalisation Tool connects to your mobile device using low energy Bluetooth and the software requirement for your phone is IOS 10, Android 6 or later. The designers also say that they ‘conceived and designed The Uba Project Equalisation Tool choosing materials that respect the environment and humankind’. Available in red, blue, yellow and green (colour you receive will be randomly selected during packing).